Floor plan and elevation of 2203 Square feet (205 square meter) (245 square yards) 4 bedroom house. 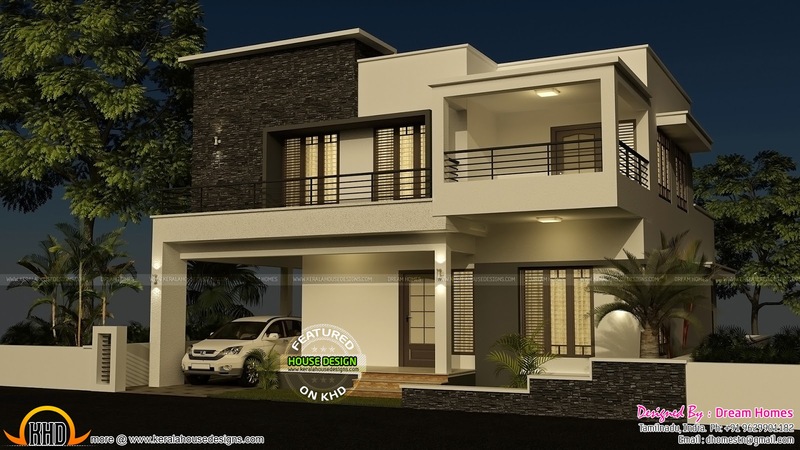 Designed by Dream Homes, Tamilnadu, India. Ground floor : 1238 Sq.Ft. Total area : 2203 Sq.Ft.